Fix The application (process com.android.vending)has stopped unexpectedly error – Toady in this post you will be learning how to the fix the error ”process com.android.vending” has stopped unexpectedly. If you are an Android user, and facing this problem while you try to open the Google Play store, and in search of a perfect solution for it, then this guide may be helpful to you. Android users face this problem when they grant root access to their phone. Google Play is a default app. Thus it can’t be uninstalled unless you have rooted your Android device. People root their phone, and accidently or intentionally they uninstall Google Play from their Android device. Now when you try to Re-install the Google Play, the error mentioned above may occur. Including this reason, there may be various types of reason by which you may face this error. There are various types of the method by which you can overcome this problem. Follow the easy and simple methods given below, In order to solve this error. Step 1: Unlock your phone and go to Settings. Step 2: In settings go to Apps, in Apps swipe left and go to All. Step 3: Now in All scroll down and click on Google Play store. Step 4: In Google Play Store, clear cache, clear data, and uninstall updates. Step 5: Now once reboot your phone. That’s it. I think you should have solved the error ”process com.android.vending” has stopped unexpectedly. If the Method 1 didn’t work for you, then here is an another simple and easy method to solve this error. Factory reset your Android device. Step 3: Better you take a backup of all your personal data, as performing a Factory Rest will erase all your data stored in your internal storage. Note: Factory reset does not have any effect on your SD card and the SIM card data. Step 4: Now click on Factory Data Reset, and the process will get started. Your Android device will automatically reboot. So that’s it, this should solve the error ”process com.android.vending” has stopped unexpectedly. If any of the above-mentioned methods didn’t work for you, then here is the last method you can try. 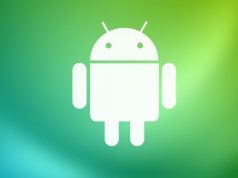 Note: This method is only if you have rooted your Android device and installed any Custom ROM’s in it like CyanogenMod. Step 1: First downloaded the proper and correct GAPPS package (zip file) for your Android OS. Step 2: Once you have downloaded the GAPPS Package copy it to the internal storage of your Android device. Step 3: Now enter into the Recovery mode and install zip from SD card. Step 4: Once installed, Reboot your Android device. This should solve the error, if the error has not solved yet, then you need to flash the entire ROM again in order to solve this problem. So that’s all for now to solve the error ”process com.android.vending” has stopped unexpectedly. If you have any doubts or suggestions to let us know in the comments.